Cass Mortimer Eipper trained at The Australian Ballet School and has performed with West Australian Ballet, Sydney Dance Company, and was co-director of the Australian dance/media company, Ludwig. In 2015, he won the prestigious Helpmann Award for Best Male Dancer in William Forsythe’s Quintett. His other awards include ‘Most Outstanding Performance’ at the Rome International Choreography Competition for Solo 1.5, which was also presented at the renowned ImPulsTanz Festival, Vienna. He also won the prize for Most Outstanding Choreography at the West Australian Dance Awards for Fleck & Flecker. As a dancer, he won 3rd prize at the Stuttgart International Dance Festival, where he performed Emma Sandall’s Body Song. 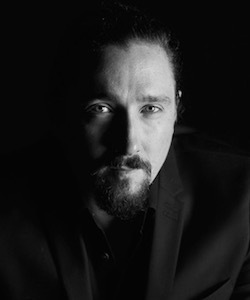 Eipper has created work for Sydney Dance Company, Milwaukee Ballet, West Australian Ballet, Queensland Ballet, Link Dance Company, Sydney Symphony Orchestra, Ludwig and “So You Think You Can Dance Australia”, and has collaborated on music clips with Katie Noonan, Ben Folds and James Michael Thompson. Eipper’s films have been presented internationally, including his dance film, “Brute,” which will be presented at the TLC Chinese Theatre in Hollywood in March 2019. Martin Chaix was born in Albi (France), where he began his classical ballet training in 1986. In 1993, he was accepted at the École de Danse de l'Opéra National de Paris where he studied until 1999 and directly joined the Paris Opera Ballet (dir. Brigitte Lefèvre). In 2006, he was offered a soloist position at the Leipzig Ballet (dir. Paul Chalmer) experiencing a whole new repertoire and taking part in new creations. Finally, in 2009 he became a member ofthe Ballett am Rhein Düsseldorf Duisburg (dir. Martin Schläpfer) where he danced as a soloist until 2015. As a dancer, he worked with various choreographers and on many productions of different dance styles, in particular ballets from Roland Petit, Carolyn Carlson, Rudolf Noureev, John Neumeier, George Balanchine, Pina Bausch, Edouard Lock, Uwe Scholz, John Cranko, Marco Goecke, Mats Ek, Jiří Kylián, Hans van Manenand Martin Schläpfer among others. Since 2015, he has been working as a freelance choreographer. Martin Chaix made his choreographic debut in 2006 at the Paris Opera Ballet and later with the ballet companies he was working for in “Young Choreographers” evenings, notably the renowned “Noverre Young Choreographers Evening”, organised by the Stuttgart based Noverre Society, and independent projects, such as Eine Winterreise for the Brotfabrik Bühne in Bonn. As a choreographer he received commissions from companies such as the Leipzig Ballet (2007 and 2015), the Ballett am RheinDüsseldorf Duisburg (2013 - 2019), the Saarland National Theater Ballet in Saarbrücken (2015), the Mecklenburg National Theater Ballet (2016), the Croatian National Ballet in Split (2017) and the Ballet du Rhin (2018) among others. Along with his different choreographic projects Martin Chaix is also doing some short films and photographies. One of his work has been selected for the One Minute Film Festival in Amsterdam in 2013. Ashley started dance classes at age 4 at Wendy Gibbs School of Ballet in Sydney. She began a professional career in 2006, joining Royal Ballet of Flanders at the age of 18 following graduation from the Australian Ballet School. In 2010 Ashley was promoted to demi-soloist with the company. 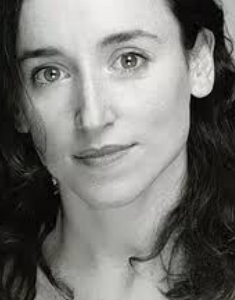 She has danced works by choreographers such as William Forsythe, Jiri Kylian, Trisha Brown and Mats Ek and has been involved in numerous creations by choreographers including David Dawson, Jacopo Godaniand Lucy Guerin. In 2009 she created her first piece Better Left Unsaid for the choreographic workshop of the Royal Ballet of Flanders. The piece won 2nd prize and the Audience Choice Award at the Copenhagen International Choreographic Competition later that year. Ashley's second work Ominous Parallels (2010) featured in the Lebbeke International Dance Festival, Belgium. In 2011 she collaborated with freelance dancer Jim de Block to create Knee Deep Sleep, which was reworked in 2012 to become a finalist at the International Choreographic Competition in Hannover. Iratxe began her training in 1988 at the Conservatorio Superior de Musica de San Sebastian. In 1991 she joined Stuttgart Ballet under John Cranko Schule. Throughout her career Iratxe has worked with Basel Ballet, Jiri Kylian, Nacho Duato, the Compania Nacional de Danza, Lyon Opera Ballet, Wayne McGregor and Netherlands Dance Theatre. Maurice Causey is an American born European based artist. He began studying Ballet at the age of 15 in his hometown of Florence, Alabama. His training includes School of American Ballet, the American Ballet Theatre School, and the Joffrey Ballet in New York City. Maurice was eight years a Principal Dancer with William Forsythe's Frankfurt Ballet. He also danced with the Cleveland Ballet, Pennsylvania Ballet, The National Ballet of Canada, and as Principal Dancer with the Gottenburg Ballet in Sweden. Maurice has also been Ballet Master for both the Royal Sweden Ballet (2002-2003) and The Netherlands Dance Theatre I (2004-2010). He has choreographed original works for Major Companies such as; Netherlands Dance Theatre I, Northwestern Professional Dance Proect, Hubbard Street 2, Milwaukee Ballet, Company C, Stockholm 59 North, Augsburg Ballet, O Dance and Dance Company iMEE. Maurice has been a guest teacher for companies such as Cullberg Ballet, NDT I & II, Royal Swedish Ballet, Norweigan Institute of the Arts, HJS in Amsterdam and Wayne McGregors Random Dance-London. 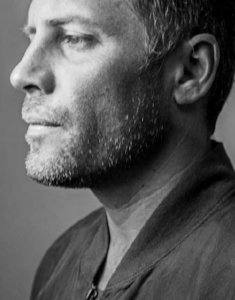 As a choreographer Sagi Gross received a large international exposure and his choreographies have been presented in South Korea, USA, Australia, England, Belgium, The Netherlands, Switzerland, Germany, France, Austria and Israel. In 2015 - 2016 Gross's DanceFilm 'Silent Force' was presented at the prestigious Louvre Museum in Paris in combination with a live performance, and during Cinedans Festival in EYE Film institute in Amsterdam. The creation Blind Sight which he created together with director Jeroen Fransen, was supported by The Dutch National Ballet. As well, Patricia Barker, artistic director of Grand Rapids Ballet in Michigan commissioned and presented two of his creations. In 2014, his piece 'One Charming Night' was commissioned with great success by Pori Dance Company in Finland. In 2012, he has been selected to choreograph for English National Ballet dancers at the 'LAB' project in collaboration with DanceEast Jerwood in The UK. At the same year GrossDanceCompany was co-produced by Carolyn Carlson CCN Roubaix France. In 2008 Gross was chosen to take part in ‘Siwic project’ in Dance House Zurich. He participated in The Hannover International Choreography Competition and at The British Sadler’s Wells theater's international competition 2010. Gross collaborated with international companies and academies (to name a few): Sydney Dance Company-PPY, Staatstheater Wiesbaden, Oldenburgisches Staatstheater, Staatstheater Braunschweig, Grand Rapids Ballet Michigan, Architanz in Tokyo, Royal Ballet School of Antwerpen, The National Conservatory of Lisbon Portugal, Dansateliers in Rotterdam, The Royal Ballet Conservatory in The Hague, Marameo-Tanzprobebühne in Berlin, Harmonic studio in Paris, Rietveld Art Academy in Amsterdam, Danza - L'AED in Livorno Italy, Busan Dance Academy in South Korea, Hochschule für Musik und darstellende Kunst in Frankfurt, Korzo Theater, Arte&Balleto Italy and many others. Spencer Gavin Hering born in Munich, Germany, is the son of two professional ballet dancers. With a life immersed in the arts, Spencer eventually, at the age of 16, began training with his mother Cecilia Hering in Redlands, California. After two years at Pacific Northwest Ballet School, he joined Ballet Pacifica in Irvine, California and has since danced as a principal artist with Maximum Dance Company/Ballet Gamonet, Dominic Walsh Dance Theater, Miami Contemporary Dance Company, State Street Ballet as a Principal, Hope Stone Dance Company as a company member and Island Moving Co. as a principal artist. 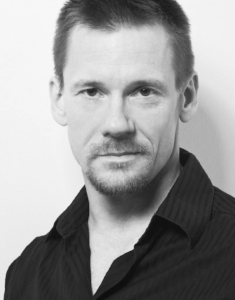 Mr. Hering currently dances as an principal artist and is a Co-Founding Director of iMEE Dance Company. His repertory includes principal roles by acclaimed choreographers that are both current and iconic: David Allan, George Balanchine, Maurice Causey, Anne Marie DeAngelo, Jimmy Gamonet, Choo-San Goh, Paola Georgudis, Jamie Hampton, Emily Johnson, Molly Lynch, Stephanie Martinez, Rick McCullough, Lindsey McGill, Michele Merola, Stephen Mills, Miki Ohlsen, Jerry Opdenaker, David Palmer, Yanis Pikieris, Peter Pucci, Andrea Dawn Shelley, William Soleau, Ray Sullivan, Robert Sund, Paul Vasterling, Raymond Van Mason, Dominic Walsh and Jane Weiner. As a choreographer Mr. Hering has created original works for professional dance companies and festivals such as: State Street Ballet, E.magine Dance Ensemble, O Dance, Houston Met Dance, FestOval of Dance, Triple Focus, palcoscenico danza, Island Moving Co., the black box INTERNATIONAL FESTIVAL THEATRE & DANCE, Festival Ballet Providence and iMEE in Santa Barbara, CA, Irvine, CA, Houston, TX, New York, NY, Newport, RI, Turin, Italy and Plovdiv, Bulgaria. He has participated in Residencies and created original works for the dance programs at Sam Houston State University and Salve Regina University (SRU.) His work Schone was presented by SRU at the American College Dance Association in Providence, RI and received much praise from a distinguished panel of adjudicators. Mr. Hering has received many accolades for his dancing and choreography; including winning the "Outstanding Choreographer Award" for his work, Dichotomy at the Youth America Grand Prix Ballet Competition in Los Angeles, CA, awarded as a “Finalist” in the 17th Annual Choreography Festival in Palm Desert, CA for his works Elliptical Capture & Fibonacci and winning “Second Place”in the 17th Annual Choreography Festival for his work, Fibonacci. Mr. Hering was a Co-Founding member of the five week, summer dance festival, the Houston Dance Festival: HERE & NOW alongside iMEE Co-Director, Andrea Dawn Shelley, Light Designer, Jeremy Choate, Hope Stone Dance and NobleMotion Dance companies. Mr. Hering's most recent honor came in the form of his appointment to serve as Island Moving Company's (IMC) Associate Artistic Director, Resident Choreographer and Ballet Master for their 2013-2014, 2014-2015 seasons in Newport, Rhode Island. During his time with IMC, Hering created eight original works including Brom Bones a evening length, site specific work based on Washington Irving’s classic tale “The legend of a sleepy Hollow” featuring an original score created in collaboration with Lewis Patzner & Sascha Jacobsen. Spencer draws inspiration from limitless possibilities, as well as, boundaries. To bring curiosity, to cause wonderment and to provoke different thought – is his arts’ purpose. To share his love, his voice and his interpretation of the world, is ultimately what he wishes to reveal. Through his life experiences as a dancer, Spencer has found infinite inspiration from time shared with other dancers, choreographers and directors. Thomas originally comes from Cootamundra, where he received his early dance training in Jazz and Ballet. In 2008 Thomas moved to Melbourne to study at the VCA Secondary School. During this time he performed in CATS with Altona City Theatre and Project Four with Melbourne Ballet Company. From 2009-2011 Thomas attended the New Zealand School of Dance attaining a Diploma of Dance Performance. In 2010 Thomas took his solo Manipulated Living to Tempo, New Zealand Festival of Dance where he was nominated for ‘Best Choreography by an Emerging Artist’, ‘Most Inspiring Performance’ and won ‘Best Performance by an Emerging Male Artist’. Thomas also featured as a soloist in the 2010 NZSD Graduation Season performing an excerpt of Michael Parmenter’s Rhapsody solo. Thomas returned to Tempo in 2011 with a new solo Seam, and an excerpt of his piece Shepherd, from the NZSD Choreographic Season. In his final year at the NZSD, Thomas spent a short period with Australian Dance Theatre performing excerpts of Be Your Self. 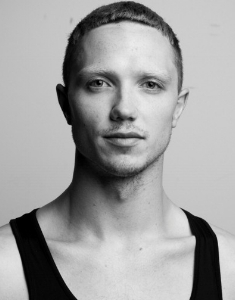 Thomas joined Sydney Dance Company in 2012 as the recipient of the Sydney Dance Company Foxtel Scholarship. During his time with SDC, Thomas performed in Rafael Bonachela’s 2 One Another (2012-2014), The Land of Yes and the Land of No (2012), Project Rameau (2012), Emergence (2013), Les Illuminations (2013), 2 in D minor (2014) and Scattered Rhymes (2014). Thomas was also a part of the collaboration with Kaldor Public Art Projects for the contemporary art exhibition 13 Rooms where Sydney Dance Company featured in Allora and Calzadilla’s Revolving Door (2013). He has also performed in Larissa McGowan’s Fanatic (2012-2013) and Lisa Wilson’s Desire (2012) as part of Contemporary Women in the Spring Dance Festival 2012; Alexander Ekman’s Cacti (2013); Gabrielle Nankivell’s Wildebeest (2014) and Cass Mortimer Eipper’s Dogs and Baristas (2014) as part of SDC’s New Breed (2014); Jacopo Godani’s Raw Models (2014) and Adonis Foniadakis’s Parenthesis (2014). Thomas is an independent performer and choreographer currently based in Sydney. 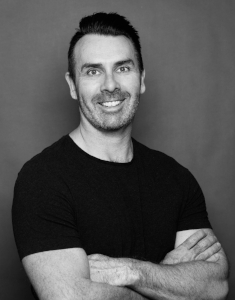 Timothy Farrar began his choreographic career by creating a short film , Ballet Boys,with dancers from the Queensland Ballet in 2000.While performing with The Australian Ballet from 2001 he initiated choreographic workshops which helped launch the company’s choreographic season BODYTORQUE with his work Quick/Time/Trick. This work was further developed with Singapore Dance Theatre through the Ballet Under The Stars initiative. Then also performed again by the Australian Ballet at Telstra Ballet in the Park, Brisbane Riverstage, in 2004. Timothy’s works A Little Disconnect, Resolution and This Tense were all performed by The Australian Ballet as part of the Body Torque seasons held at The Sydney Theatre from 2005 to 2007.Two of these works included new commissioned scores by composer Cyrus Meurant ,performed live by classical ensembles. In 2010 Timothy was awarded Best New Choreography at the Short and Sweet dance Festival in Sydney for his duet Few Things Of The Same Kind . In April 2011 he created No Place Nowhere for Expressions Dance Company Launch Pad season, Brisbane. At the same time his work Pint Size premiered for the 3rd year BFA ( Dance Performance ) students at QUT , Brisbane. In 2012 he completed a Graduate Certificate in Screen Culture at AFTRS Sydney culminating in the creation of his dance documentary The House Project. From 2015-2016 he created two new works: A Fine Line and REgenerate for ACPE Dance Company , Sydney. In October 2016 he was invited back to restage his work Pint Size for the 2nd year BFA ( Dance Performance ) students, end of year season. Claire has danced for the last 30years and began her training in the Illawarra. Upon completion of year 12 at Mcdonald college, under the tutelage of Josephine Jason, Alan Cross and Maxine Kohler she was accepted into second year and went on to graduate with Honours from The Australian Ballet school’s associated Diploma course. During her time at the school Claire performed Odette in Swan Lake Act Two, the title role in Ray Powells One in Five, Gerda in Petal Miller Ashmole’s Snow Queen and had the role of Victoria Paige co-created for her in the Red Shoes. Claire then joined The Australian Ballet and danced many corps and soloist roles. Moving north she became a Soloist with The Queensland Ballet and later the Ballet Mistress.Favourite roles include White and black Swan in Swan Lake, Michaela in Carmen , Lilac Fairy in Sleeping Beauty, Eurycides in Orpheus, Don Quixote , Flower Festival and Le Corsaire Grand Pas De Deux and Principal/soloist roles in classical and contemporary ballets performed nationally and internationally. Having had the honour of working with such names as Natalia Makarova, David Mcallister, Li Cunxin, Ross Stretton, Francois Klaus, Graeme Murphy, Paul Boyd, Stephen Paige,Natalie Weir, Stanton Welch, Stephen Baynes, Noah Gelber, ( for William Forsythe), Mario Schroeder, Nils Christie, Young Soon-Hue, Davida Bombana, Tim Harbour, Rosetta Cook, Adrian Burnett, Tim Brown and The Australian Opera Company. During her professional dancing career with the Australian Ballet , Claire taught for the company’s education program under director Colin Peasley and as Soloist and Ballet Mistress of Queensland Ballet Company, held a position on the artistic and teaching panel for all company education and student training programs. Job responsibilities included teaching and judging auditions, teaching all levels of training programs, Artistic director of Education Queensland regional tour, and supplementing students as required into company productions. Claire was also responsible for staging and rehearsing a wide variety of repertoire from numerous classical and contemporary choreographers. Claire’s 21 year career has involved teaching for professional companies, institutions, schools and adjudicating/examining students of all ages and various standards. Claire has also taught for Bangarra Dance Theatre, Expressions Dance Company, Mcdonald College, Australian Ballet Education program, Tanya Pearson classical coaching academy, Sydney Ballet school, The Dance Spot, Joanne Grace School of Dance, Royal Academy of Dancing, ATOD and Cecchetti Bursaries and scholarship classes, plus various ballet summer schools and master classes/ workshops. Claire has adjudicated for the Queensland Ballet, the R.A.D, Cecchetti society , Sydney Eisteddfod, ATOD, , Professional year and Junior extension programs, Queensland Dance school of excellence, Sayers Ballet, Royal Academy of Dancing as well as teaching Ballet and Pilates for over 18 years from all ages to professionals. Claire received Honors in the Advanced Dilpoma Australian Ballet School, High Distinction in the RAD Diploma of Dance teaching studies, and holds Pilates training certificates from Stott Pilates and Allegro Pilates. Claire is currently a freelance ballet teacher/adjudicator. Lisa Maris McDonell is a dance Artist with a multi faceted practice which includes performance, choreography, dance education and dance therapy. Since graduating from the West Australian Academy of Performing Arts (WAAPA) in 1996 Lisa has worked consistently as an independent dancer and choreographer, working with many of Australia’s leading Contemporary Dance Artists. As a Choreographer, Lisa, has created numerous dance works for small groups as commissions and independent projects. She has also created a number of solo works for herself and other dancers, performed in theatres and festivals throughout Australia as well as in Europe and Asia. As a Dance Educator Lisa has worked for the West Australian Academy of Performing Arts in the Dance and Musical Theatre Departments, Bangarra Dance Theatre, Sydney Dance Company Public Classes, NAISDA Dance College (Course Coordinator), Accessible Arts, Australian College of Physical Education and the full time dance course housed at Ireland’s Firkin Crane Choreographic Centre. This year, Lisa completed both Responsive and Research Room residency through Sydney’s Critical Path. She was a recipient of a New Work Residency through Annandale Creative Arts Centre where she created the work Absolute Vertigo for four dancers. Also during 2014 Lisa’s work Five Kinds of Paradise was a NSW runner up in the Australian Institute of Classical Dance’s, Dance Creation competition. She is also currently developing a new work funded by Merrigong Theatre which consists of four solos for established artists, Ana Otero, Chylie Cooper, Vicki Van Hout and Robina Beard.